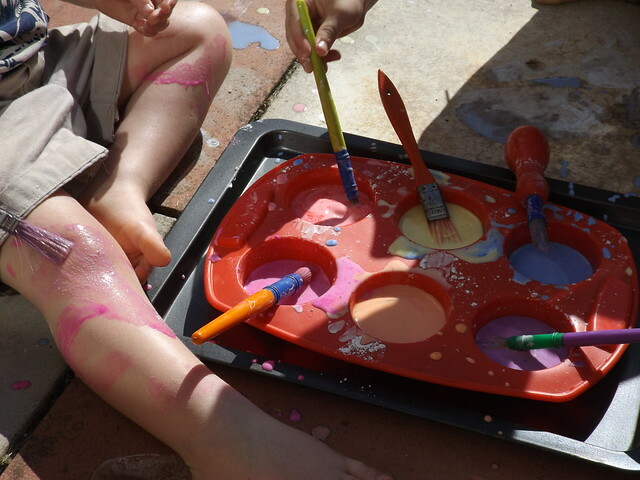 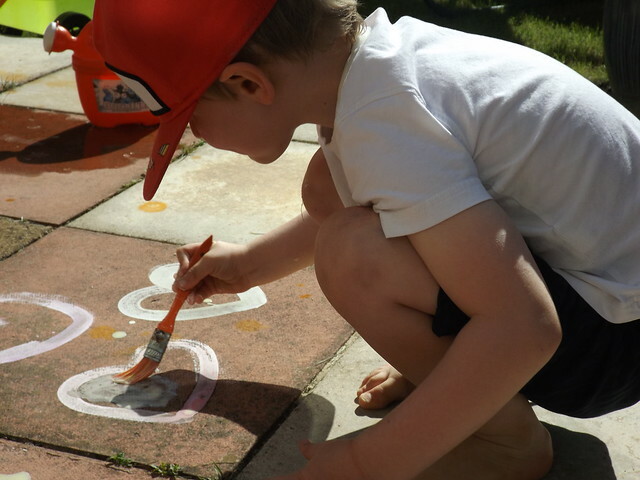 Bee's Circus: Sidewalk Chalk Paint. 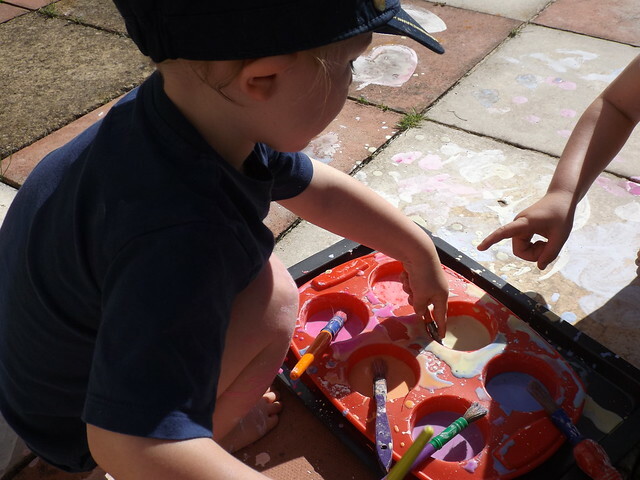 A little paint or food colouring, for colour. 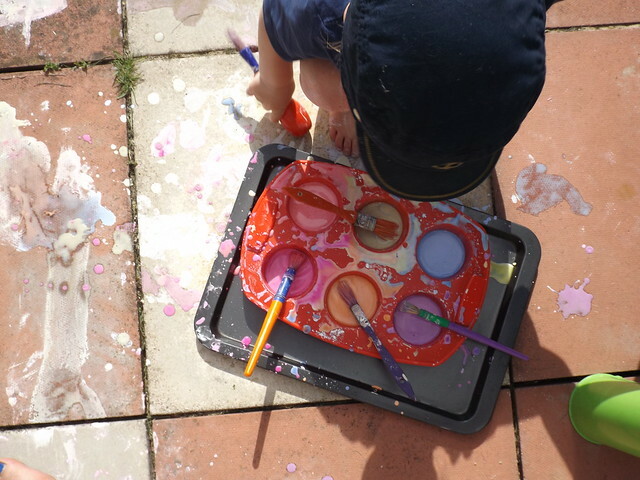 I've always wondered about sidewalk chalk paint, thinking it would be far more difficult than this to make. 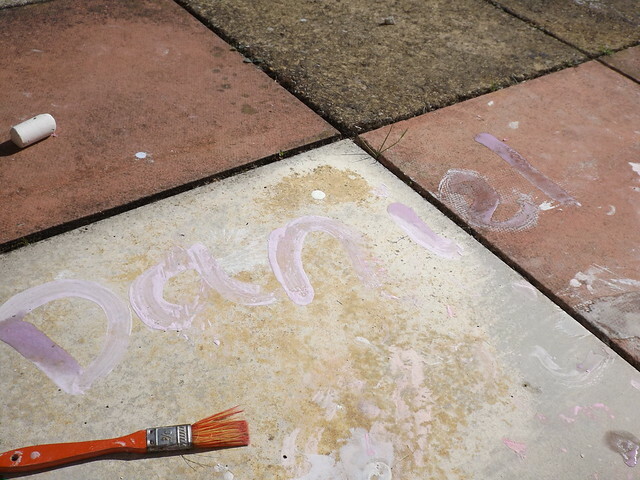 The texture and consistency is a little strange, it is essentially Oobleck, but we had a lot of fun painting the whole patio. 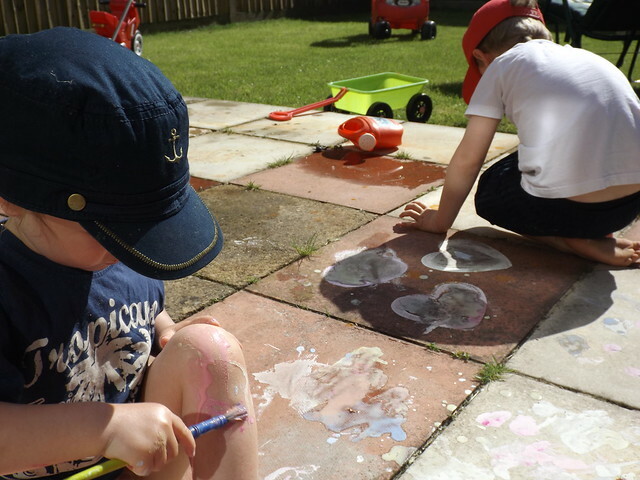 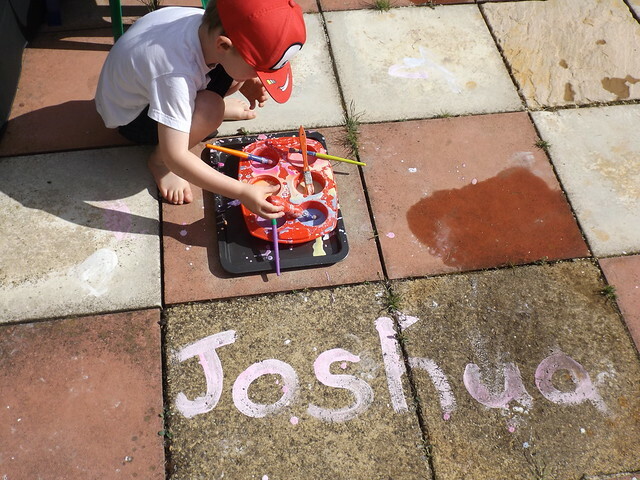 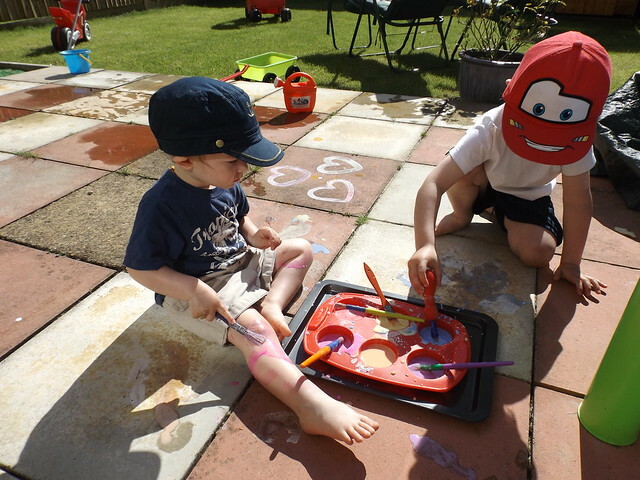 This kept the boys amused for a lot longer than I thought, Joshua was mostly just painting himself but it was lovely to watch him explore like that without worrying about the paint staining him or having trouble washing it off! 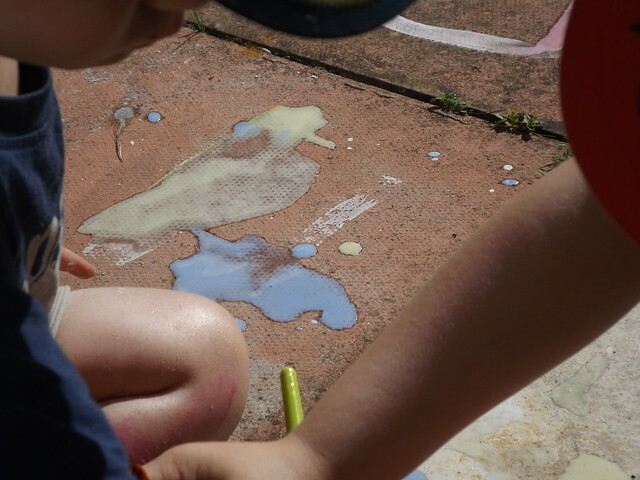 The colour changed as it dried which they found fascinating, we have painted with water on the patio before but that obviously disappears as it dries, so this was all new and exciting for them. 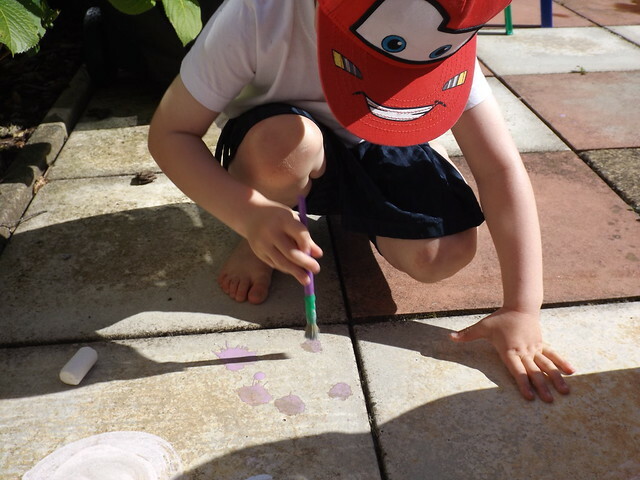 I'm hoping to take a lot more art outside this summer, I have a whole list of projects but I'd love some fresh ideas if you have any?! 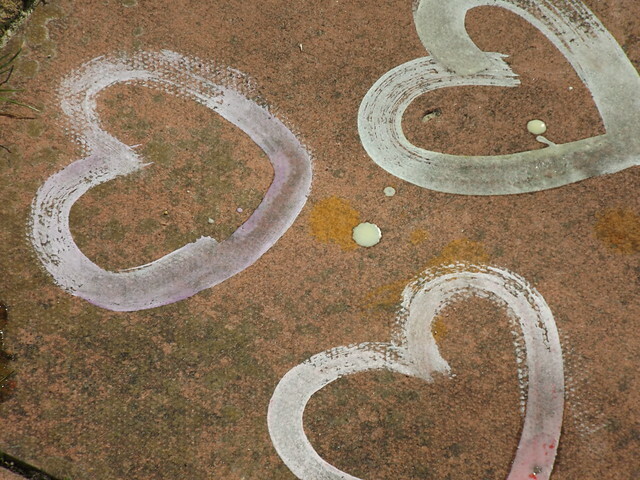 Just leave them in the comments!